Young Living Distributors Will Experience Seed to Seal Process at the 2014 Winter Harvest! The annual Winter Harvest at our Highland Flats, Idaho, tree farm is quickly approaching! Each year, distributors from around the world come together to harvest balsam fir, blue spruce, and other trees as part of Young Living’s unique Seed to Seal process. Distributors who participate get to see first hand what goes into the production of our wonderful evergreen oils and gain a new appreciation for Young Living’s commitment to quality and authenticity. The reason the trees are harvested in the coldest part of the winter is because the oil content is much higher in the bitter cold of winter. The trees are saturated with oil which serves to protect the tree from the bitter cold. It keeps the needles from freezing. Not only is there more oil but the medicinal properties are at the highest levels during this cold season. Young Living Farms and harvesting at just the right time for the highest quality oil is one more reason Young Living is so special. During the spring another staff of volunteers will gather to carefully replant seedlings to replace the harvested trees. Young Living, the World Leader in Essential Oils, has completed a major upgrade of its state-of-the-art testing and quality control laboratory in Spanish Fork, Utah. The newly expanded lab will further advance the testing methods of Young Living’s 100% pure, genuine authentic grade essential oils and supplemental products. The new space is equipped with the most sophisticated testing equipment available. These high-tech instruments include a gas chromatograph and a gas chromatograph-mass spectrometer (GC/MS), which break down components of the oil, identify purity and strength, and recognize any possible contaminants. 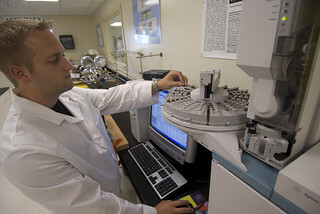 An ultra performance liquid chromatography (UPLC) instrument is used to test the occurrence of vitamins and other critical components in Young Living’s dietary and personal-care products. 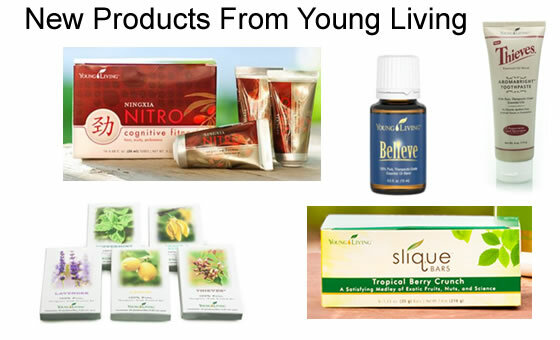 This process further verifies the ingredients listed on every label of the products Young Living offers. The lab, which has recently doubled its staff, employs PhDs, chemists, scientists, and microbiologists with decades of experience in the pharmaceutical and nutraceutical fields. The lab is an integral part of Young Living’s Seed to Seal® process, which ensures that every step of essential oil production is closely controlled—from the seeds sown to harvesting, testing, and bottling. 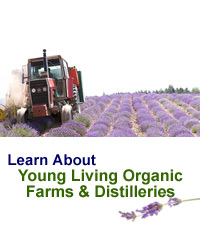 Young Living currently owns 11 farms and distilleries. 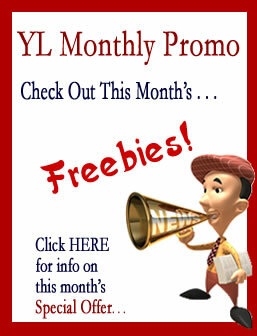 Young Living Convention just wrapped up and as usual there was lots of oils and health education. As usual we have several new products. Some are available now and some are coming soon. Here are a few details about the new products more will be available soon. NingXia Nitro – Energy shots with a proprietary blend of pure black pepper, nutmeg, vanilla, chocolate, yerba mate, spearmint, and peppermint essential Oils. NingXia Nitro also includes Bioenergy Ribose which improves physical performance, speeds up recovery, and increases overall energy reserves. Other supportive ingredients, such as B Vitamins which includes B12 and B3 and B6, green tea extract, choline and Korean Ginseng. New Believe oil – Reformulated to include Idaho Blue Spruce & Ylang Ylang from the Young Living farm in Ecuador. Slique Bars – These are a nice addition to the Slique line of weight management products. Each bar is full of fruits, nuts and other nutrients that will help you feel satisfied. Thieves AromaBright Toothpaste – All-natural toothpaste is made with genuine essential oils, including the cleansing and protective benefits of Thieves essential oil blend. Its safe and effective formula provides a fortress of support for healthy gums, strong teeth, and a confident smile. Essential Oil Samples – Each pack contains samples of Thieves, Peace and Calming, lavender, lemon, peppermint. Easy to carry in your purse or pocket. Each sample is filled with 0.25 ml of oil, an amount perfect for a single usage experience. More than two decades ago, Gary Young traveled throughout North America, Europe, North Africa, and the Middle East to find optimal conditions for distilling the world’s finest essential oils. Today, Young Living owns and operates three farms in Idaho, Utah, and France. The Young Living Lavender Farm in Utah is one of the largest essential oil distilleries in North America and our essential oils are purchased by customers in over twenty-five different countries. Young Living’s line of genuine authentic grade essential oils and unique essential oil blends are sourced from the world’s finest plants. A low-pressure and low-temperature steam distillation process is the only way to preserve the beneficial properties of the oils. This process is far superior to the inexpensive, high-pressure, high-temperature practice commonly used to distill essential oils in other companies. Customizing the distillation of each plant species maximizes the benefits of the essential oil. Proper placement and compression of the herbs in the cooking chambers, as well as the correct application of steam to plant material, helps safeguard essential oil purity; high-grade, non-ferrous stainless steel chambers are used to prevent chemical reactions of the oils and metal. Young Living farms grow over fifteen different types of herbs and source a variety of other oils from reputable essential oil suppliers. Young Living is committed to sourcing oils from other companies that adhere to strict quality specifications and personally inspect the facilities and use state-of-the-art chemical analyses to examine each batch of essential oil. 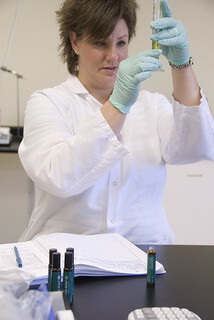 Essential oils can go through as many as five different levels of analyses before they are released. Did you know it takes 12,500 liters of lavender stems and flowers to produce 4 to 5 gallons of essential oil, and as many as 5,000 rose petals to make a 5 ml bottle of rose essential oil? Essential oils are the most easily and widely adulterated of all natural products, and when consumers use synthetic oils, they may experience a number of unpleasant side effects. Less expensive, similarly scented oils are often substituted, mislabeled, and sold by, competing brands. While the aromas of these substitutes closely match, their chemistry and properties are very different. Young Living essential oils are not diluted with chemical and synthetic additives and are carefully prepared to maintain plant integrity. This commitment to purity makes Young Living’s essential oils the world’s premium essential oil line. PRISTINE LAND Untilled land far from pollution of urban centers. VIRGIN SOIL Fortified soi1 with organic biosolids, enzymes and minerals. SELECT SEEDS + CAREFUL PLANTING Non-genetically modified (GMO) herb vane ties are nurtured in Young Living’s greenhouse. Once they reach a height of 2″‘ the plants are moved to a “hardening house” so they can better adjust to the outdoor climate, which increases their chance of survival. ORGANIC WEED + PEST CONTROL No synthetic chemicals, herbicides, or fungicides are used. Instead, Young Living relies on Mother Nature to control insects and a natural blend of essential oils, including pine and cinnamon, for weed control. PRECISION HARVESTING Fields are harvested at the correct time of year and even the proper time of day to optimize oil quality. The percentage of the plant in bloom, the amount of dew on the leaves, and even the amount of rainfall immediately before the harvest can have a direct impact on oil quality. Sacred Frankincense Essential Oil (Boswellia sacra) comes from the Boswellia sacra frankincense tree and is distilled at the Young Living distillery in Oman. Boswellia carteri also has very beneficial properties. Boswellia frereana is highly fragrant and is usually used for burning and fragrances and has little or no value. Boswellia frereana belongs in the perfume industry. Gary Young has spent 25 years learning and traveling to the countries where frankincense is harvested. He has spent this time learning from the very best so he can know which species of frankincense and other oils are of the highest quality. You must know which # of quality frankincense resin is being used. Number 1 is fresh and is the highest quality. Numbers 2-4 is older and are NOT good for use. Most essential oil companies are selling Boswellia frereana. This species is very fragrant but very low in beneficial properties. The first cut of the Frankincense tree produces the white resin called “hojari” and was selected just for the kings and queens because it was the purest of the frankincense. The lower grades of resin are a brownish color and have a lot of particles in them because of being on the tree and not harvested quickly. This lower grade of resin is what most companies use since is more available. Notice the pictures above. The Boswellia frereana has dark spots in it. That is because it has sat for a long time in the elements and things get caught in the resin. It also is exposed to extreme heat conditions and loses its potency. The process of collecting frankincense happens two times a year – once in the spring (March to May) and then in the fall (September to October). To harvest the resin, you have to take a little axe and chop the hardened resin crystals off the branches – but there’s a process that comes in the week before that. To begin the process, you cut the bark of the frankincense tree and then it allows the liquid resin to ooze out onto the external part. Then, when it hits the oxygen, it starts to crystallize and harden. Naturally, the longer it is left on the tree, the longer it is present in the oxygen and the harder it gets. It takes about a week before you can actually come back and cut it off as a hardened resin crystal. So this is a week to two-week process from when you go in and you cut the tree to when you come back and collect the crystal resin. Then the crystal resin goes into the distillery where it is crushed into powder, put into an oil bath, and steam distilled to extract the oil from the crystal resin. The longer the frankincense is left before harvesting, the lower quality it becomes. Most frankincense resin sold today is as much as 4 years old. The boswellic acid, polysaccharides and incensol have been flashed off with extreme heat, then followed by monsoon conditions. Side Note: Frankincense needs to be distilled for 15 hours to get the incensol out. This constituent has a heavier molecule and it takes longer to get the incensol out. Most distillers cut off the distillation process too soon and don’t get all the beneficial properties out. Young Living does not buy frankincense resin on the open market. They purchase from reputable suppliers that they have long term relationships with. Young Living has trusted partner distilleries for frankincense that are located in Spain (15 years – George Fernando), Nairobi, Kenya (Satqa Haq) and recently a distilling operation was established in Oman. Gary recently built a Young Living distillery in Oman. Having a Young Living distillery in Oman guarantees no shortcuts are being taken on the quality of the frankincense resin received through the distilling process. In fact, Gary even hand picked the specific frankincense trees to source from! Whenever any oils are not produced by Young Living’s own farms and distillers, Gary and a team trained by him travel to these distilleries to make sure that every step of the process, from growing, harvesting, distilling, meets Young Living standards. Companies who want to sell their oils to Young Living are surprised when company representatives show up because other companies take the vendor’s word for it instead of personally inspecting their operation. No other company in the world can claim to be so intimately involved in their frankincense product. From “Seed to Seal,” you know that Young Living’s expertise begins at the source and extends to the final product. No company in the world has better testing than Young Living. ”We don’t tell you it is a good oil, we prove it.” D. Gary Young. Sacred Frankincense Essential Oil – Gary Young has spent years researching the applications of frankincense essential oil. Sacred Frankincense is distilled from wild growth frankincense trees (Boswellia sacra) at the new Young Living distillery in Oman.